Pre-engineered lifeline systems offer the assurance associated with an engineered lifeline system and the economy of being able to install your own system. 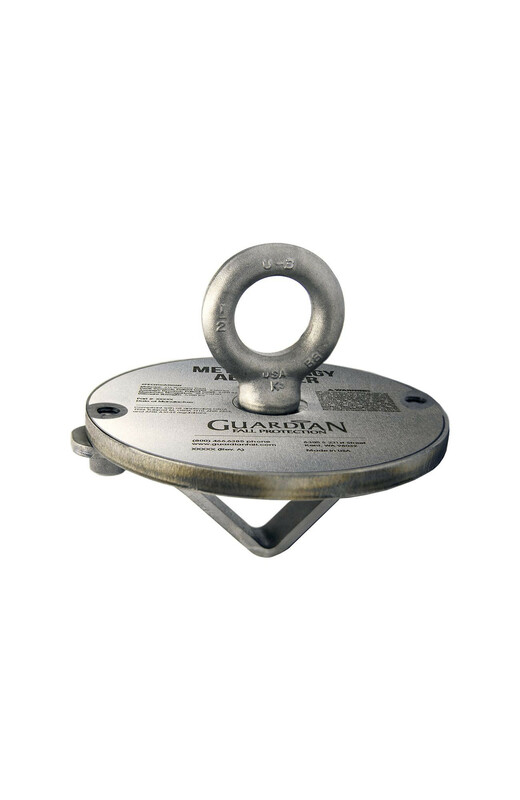 The Guardian Metal Energy Absorber System horizontal lifeline can be used with anchor points that are rated for 5,000lbs. The system is easy to configure and install. Begin by selecting the length of your lifeline. 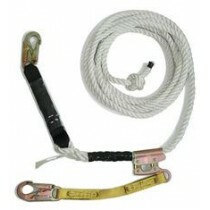 There are three standard lengths: 30', 60' and 100' lifeline systems. 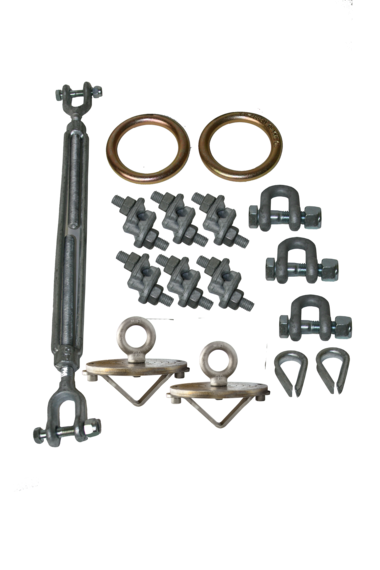 These pre-engineered lifeline kits are designed to span the specified distance in a straight run. 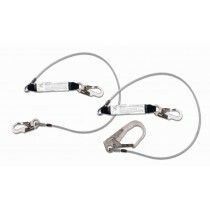 If you need a more complicated horizontal lifeline, please see our engineered lifelines systems. Kits available in 30', 60' and 100'. Custom lengths are available. The pre-engineered Metal Energy Absorber System lifeline kit contains everything you need to connect a lifeline between two 5,000 lb. anchor points. The 30' and 60' kits come with one Metal Energy Absorber. The 100' kit includes two Metal Energy Absorbers. 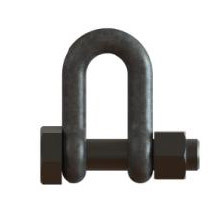 All the required O-Ring Connetcors, wire rope, and wire rope connectors are included in the kit. Any 5,000 lb. 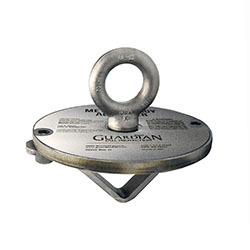 anchor point can be used to anchor the Metal Energy Absorber pre-engineered lifeline system. 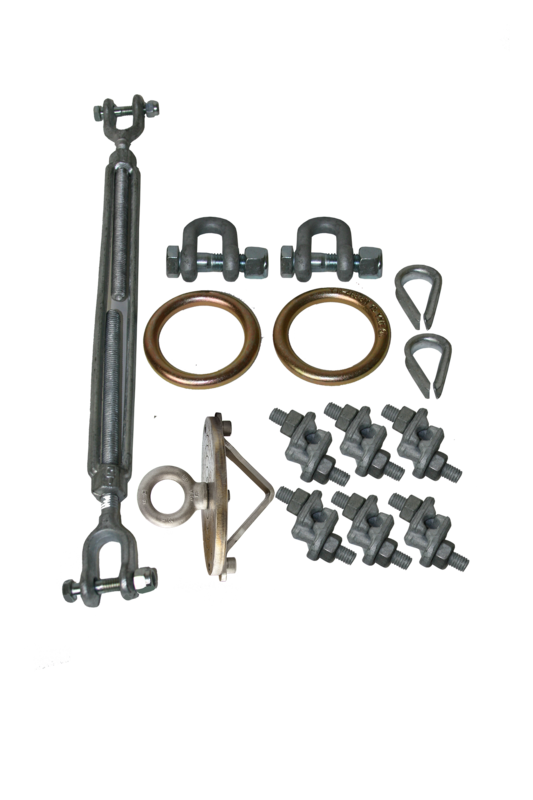 The anchor points that are listed below are anchor points that are typically used with the pre-engineered lifeline system. 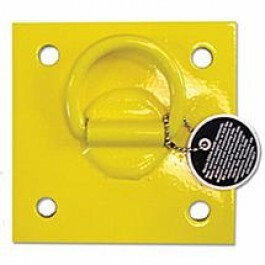 Other anchor points are available for this system. 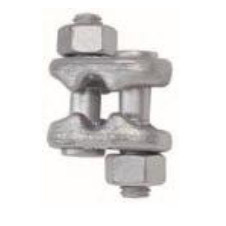 Please contact us if you have a need for a different anchor point. Click on the anchor points for more information about the loading and installation of each anchor. CB-1-B The CB-1-B can be bolted onto a column. 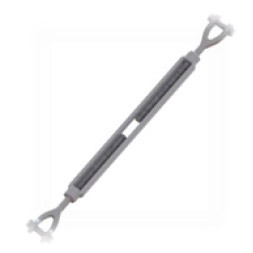 The system is typically used during floor by floor concrete construction. CB-1-W The CB-1-W is a weld-on anchor. 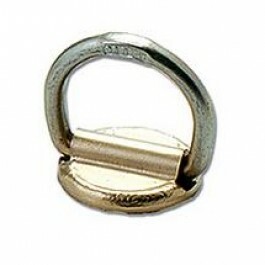 It is designed to be attached to heavy steel-work. The system is typically used during floor-to-floor steel construction. 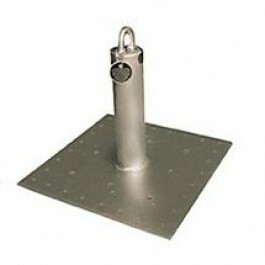 CB-12 The CB-12 is a 12" post anchor that can be mounted to steel, concrete or wood decking. 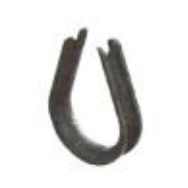 Larger sizes of this anchor are available.